Suppositories are a good option for people suffering from severe nausea, for those with dysphagia (difficulty swallowing), MS nerve pain, spasticity, restless legs, menstrual cramps, anxiety, insomnia and for those who cannot smoke. Suppositories are also a supreme option for anyone suffering from cancer, pain or chronic aliments. 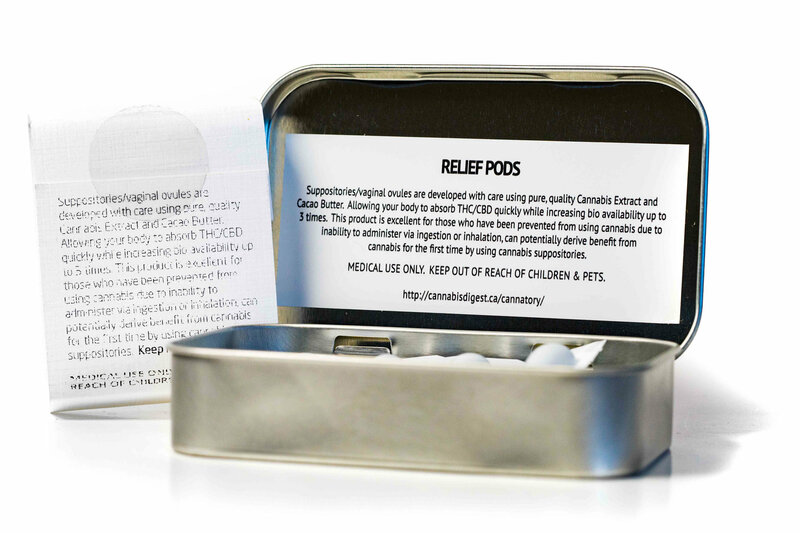 Cannabis suppositories deliver around 80 percent of the plant medicine, while taking cannabis orally delivers around 35 percent and smoking around 15 percent. For serious conditions, rectal delivery of cannabis, provides the greatest amount of plant medicine delivered with zero head high. This provides maximum medicine with maximum relief and no known side-effects. When administered rectally, the plant medicine directly enters the bloodstream through the cell walls and goes directly into the body, which is quickly distributed through the vascular system. It is a direct application to the bloodstream, bypassing the liver. The liver is a key to getting high. THC travels through the liver to the brain to induce a head high. The bottom line: Cannabis suppositories allow for larger doses of plant medicine without the head high versus smoking and ingesting orally.